The National Academies of Sciences, Engineering and Medicine have issued a call for applications for the sixth Arab-American Frontiers of Science, Engineering and Medicine Symposium. The Symposium, to be held in partnership with the Kuwait Foundation for the Advancement of Sciences (KFAS) in Kuwait, November 4-6, will bring together outstanding young scientists, engineers and medical professionals from the United States and the 22 countries of the Arab League. Learn more about the event. As the top sponsor, ICC will be featured throughout the Conference venue and on the Exhibit Hall floor. There are many other opportunities for sponsorships and exhibit spaces during Building Innovation 2019. Companies interested in showing their support for the Institute and the building community can reserve a sponsorship and/or exhibitor space online. Read the release. Download the Prospectus. Mortimer M. Marshall, Jr., FAIA, FCIS, NOMAC, the National Institute of Building Sciences’ first and most dedicated member, passed away on June 13, 2018, less than seven weeks after saying farewell to his beloved wife of 66 years, Betty Marshall. From the time he joined the Institute in 1978, Mort supported the organization in many ways for 50 years. He served on the Consultative Council’s Executive Committee from 1978 to 1981 and as secretary of the Council in 1981. Mort was elected to two terms on the Institute Board of Directors, the first from 1981 to 1987, and the second from 2005 to 2011. He served as treasurer in both terms, the second time for his entire tenure. As the Institute's first member, with the number 101, Mort provided an enormous amount of historical knowledge to the Board. 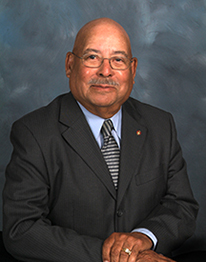 He was instrumental in the formulation of many programs at the Institute, provided guidance and leadership, and continued to assist the organization until he passed. In 2011, the Institute established the Mortimer M. Marshall Lifetime Achievement Award in his honor and awarded the first honor to him for his dedicated service to the Institute and its Board of Directors. Mort graduated from Tuskegee University with a degree in architecture in 1949 and joined the United States Air Force where he served in the Korean War. After his military service, Mort held positions with the Naval Facilities Engineering Command. He was responsible for the development and implementation of design criteria, policies and construction standards for the U.S. Department of Defense’s worldwide design and construction program. During this period, Marshall traveled extensively throughout the world, evaluating military schools, family housing and medical facilities (including hospitals and medical and dental clinics) to ascertain that they met military design standards and criteria. He led the team that developed the program used in the design of the Uniformed Services University of Health Sciences, National Naval Medical Center in Bethesda, Md. After 32 years, Marshall retired from the federal government and founded The Marshall Group in Reston, Va. in 1983. Along with his wife, Betty, as office manager, Mort worked tirelessly to make the family-owned architecture, interior and construction services practice a success. Throughout his career, Mort received numerous honors and awards, including: a Fellow of the American Institute of Architects (AIA); a Fellow of the Construction Specifications Institute (CSI); Chancellor of the National Organization of Minority Architects; recipient of the Whitney Young Award from AIA; the Alumni Achievers Award and Construction Alumni Association’s Pioneer Award from Tuskegee University; and the Carle J. Ebert Award from CSI. Ever present at Institute events, Mort, with his wealth of knowledgeable stories on the Institute’s history, and Betty, with her radiant energy, will be greatly missed. The Institute will continue to honor the Marshalls’ legacy every time it presents a new Mortimer M. Marshall Lifetime Achievement Award. With planning underway for Building Innovation 2019: The National Institute of Building Sciences Seventh Annual Conference and Expo, the Institute recognizes the International Association of Plumbing and Mechanical Officials (IAPMO) as Technical Programs Sponsor. This is the fourth straight year that IAPMO has taken the role. During the Conference’s four days of content-rich programs and events, to be held January 7-10, 2019, at the Mandarin Oriental in Washington, D.C., IAPMO will receive recognition for its support as Technical Programs Sponsor through prominent signage, podium acknowledgements, logo placements, web links, program listings, publicity and advertisements. IAPMO is a Sustaining Organization Member of the Institute and its representatives participate on a number of Institute councils and committees. Building Innovation 2019 will gather different facets of the building community to facilitate an interchange of ideas and viewpoints; present the latest advancements in technology; address the industry’s priorities and concerns; and work to develop solutions. Read the release. Sign up to receive Conference notifications. Time is ticking away to submit an abstract to present at Building Innovation 2019: The National Institute of Building Sciences Seventh Annual Conference and Expo. Potential presenters have just two days left until the Friday, June 29 deadline. Don’t miss the opportunity to speak at the industry’s only all-inclusive Conference where members of the entire building community come together to connect, collaborate and create solutions that benefit the built environment. 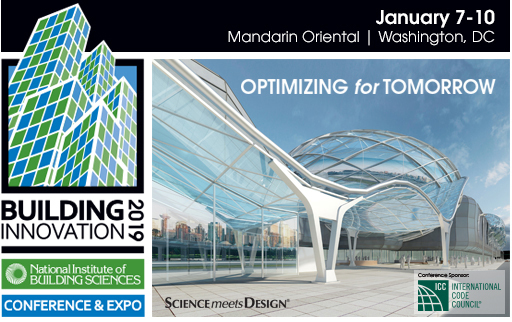 Building Innovation 2019, which will explore strategies for Optimizing for Tomorrow, will take place January 7-10, 2019, at the Mandarin Oriental in Washington, D.C. The Institute’s Conference Planning Team invites industry professionals to present during the four-day Conference. Industry leaders with valuable insights, case studies, best practices, lessons learned and/or remaining challenges are encouraged to share their knowledge and experiences with the broad audience of building industry stakeholders. Interested parties should submit a 200-word abstract, a 150-word biography, learning objectives and five keywords describing their presentation via the online application. Promotional presentations on products or services will not be considered. Find out more about the submission process. 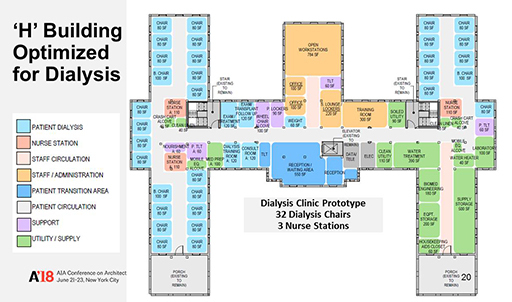 Be there to present where Science meets Design®. Submit your abstract via the online form before the June 29 deadline. The three-year terms begin in January 2019. Nominations can be submitted for one or more candidates, but a separate nomination form must be completed for each. In preparing the election ballot, the Board Nominations Committee will give equal consideration to all submissions, whether single or multiple nominations are received. Although membership in the Institute is not a requirement for nomination or election, it is encouraged. Nominations must be received no later than 5:00 p.m. ET, Friday, July 13. Download the nomination form. The National Institute of Building Sciences Awards Committee is currently accepting nominations for the 2018 Institute Honor and Member Awards. Each year, the Institute recognizes individuals or organizations that have made an exceptional contribution to the nation and the building community. Members of the building community will honor the recipients of this year’s awards during the 2019 Annual Awards Banquet, which will take place as part of Building Innovation 2019: The National Institute of Building Sciences Conference and Expo, to be held January 7-10, 2019, in Washington, D.C. Nominations must be received no later than 5:00 p.m. ET, Friday, July 13. Download the nomination forms: Member Award or Honor Award. The U.S. Department of Energy (DOE) Better Buildings® Workforce Guidelines (BBWG) program has recognized NEBB for its Commissioning Process Professional (CxPP) certification. NEBB’s CxPP Certification Program was developed to respond to the need for a commissioning-based protocol to be deployed in new construction and retro-commissioning projects. CxPPs create added value by comprehensively addressing the energy efficiency of building systems and their ongoing operations. Read NEBB’s release. Learn more about the BBWG. The Pew Charitable Trusts hosted a briefing on Capitol Hill May 16 to emphasize the importance of funding flood mitigation and resilient infrastructure. 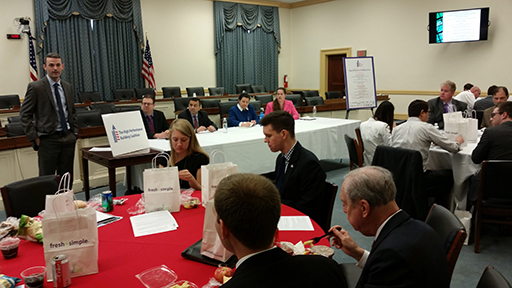 The briefing, “Disaster Mitigation is Smart Infrastructure,” was held in partnership with Senator Jack Reed’s office. To help Americans invest in mitigation before disaster strikes, Reed (D-RI) introduced legislation in June 2017, co-sponsored by Senators John Kennedy (R-LA) and Robert Menendez (D-NJ), which would create a revolving loan fund to give states a self-replenishing stream of money for a variety of mitigation projects. The briefing panelists included Jane Gilbert, Miami, Florida’s chief resilience officer; Tom Smith, executive director of the American Society of Civil Engineers; Craig Fugate, former administrator of the Federal Emergency Management Agency; and Ryan Colker, vice president of the National Institute of Building Sciences. Colker spoke about the findings of the Mitigation Saves: 2017 Interim Report and potential ways to incentivize investments in mitigation. Find out what the other presenters discussed. The Open Geospatial Consortium (OGC) has released a Call for Participation to solicit proposals for its Indoor Mapping and Navigation Pilot Initiative. Sponsored by the National Institute of Standards and Technology (NIST) Communications Technology Laboratory (CTL) Public Safety Communications Research (PSCR) Division, the Pilot will create and advance solutions to complex geospatial challenges related to indoor mapping and navigation for first responders. First responders typically survey high-risk facilities in their jurisdiction at least once per year as part of a preplanning process. Preplanning is time-consuming, inefficient and inherently complex, considering the information and level of detail that should or could be captured, the lack of automation and difficulty identifying notable changes to facilities and infrastructure during successive preplanning surveys. The PSCR has identified mobile 3D light detection and ranging (LiDAR) as a potentially transformational technology for first responders. The Pilot will call upon a diverse array of leading organizations in the field. Learn more about the Pilot. 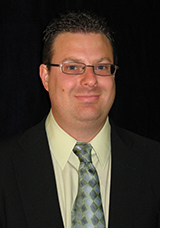 National Institute of Building Sciences Vice President Ryan Colker has been appointed to serve on the Board of Directors for the Alliance for National and Community Resilience (ANCR). ANCR is aimed at improving resiliency and implementing good community practices in towns and cities across the United States, helping cities prevent infrastructure failure caused by natural and other disasters, thereby avoiding negative social, economic and welfare repercussions caused by such damages. ANCR’s primary objective is the development of a system of community benchmarks – the first system of its kind in the United States – that will allow local leaders to easily assess and improve their resilience across all functions of a community. The benchmarks focus on 18 community attributes that contribute to resilience including buildings, energy, water, governance, health, education, the natural environment, and culture and recreation. A formally chartered 501c(3) organization, ANCR is a coalition of public and private entities founded by the International Code Council, Meridian Institute and U.S. Resilience Council, with participants from over 30 stakeholder groups that represent the diversity of community functions. Learn more about ANCR. The leadership of the Facility Maintenance and Operations Committee (FMOC) invites industry professionals to share their knowledge and passion for excellence in facilities management with like-minded professionals. The following FMOC task groups have openings: Transitioning from Construction to Operations; Artificial Intelligence (AI) in Building; Design for Maintainability; Total Cost of Ownership; ISO 41000 Facility Management Standards; and Comprehensive Capital Reinvestment Prioritization for a Property Portfolio: A Risk Based Approach. To get involved, sign up by July 6. The U.S. Department of Energy (DOE) has announced the joining of its two student building design competitions, Solar Decathlon and Race to Zero, into one national Solar Decathlon competition. Interested universities and other stakeholders interested in providing input can submit comments no later than July 3 for DOE to consider prior to finalizing the competition rules. Learn more from DOE. Mark Fowler from the Office of Congressman Peter Welch kicks off High Performance Building Week 2018, June 11 through 15, on Capitol Hill. Members of the High Performance Building Coalition hosted the Congressional Briefing, “Building the Industry of the Future - Findings and Recommendations from the Consultative Council,” Tuesday, June 12, to highlight the results of the Consultative Council’s 2017 Moving Forward Report. Congressman Welch co-chairs the High-Performance Building Caucus. In his remarks, Fowler emphasized the importance of having a broad consensus across the industry to support the development and passage of effective policies. View resolutions from the House and Senate. 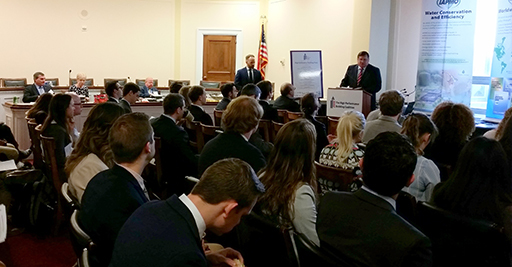 Lou Hrkman from the Office of Congressman David McKinley offers opening remarks during the High Performance Building Week Congressional Briefing, “Standards: Important Tools for Innovative Infrastructure Solutions,” held Thursday, June 14. Representative McKinley serves as a co-chair of the High-Performance Building Caucus. Read more about who participated. The briefing was organized by the Worlds Standards Day Committee, the body responsible for organizing the U.S. Celebration of World Standards Day, an event that recognizes the critical role of various stakeholders across the standards community, including business leaders, industry, academia, and government. The 2018 U.S. Celebration of World Standards Day will be held October 18. This assessment tool will help VA decide how to reuse buildings from its portfoilio of historic properties. U.S. Department of Veterans Affairs’ (VA) Senior Health Care Architect Gary Fischer, AIA; VA Maryland Health Care System Associate Chief Marc Dallaire, PE; and Goody Clancy’s Associate Principal A. Todd Symonds, AIA, teamed up with National Institute of Building Sciences (NIBS) Program Director Stephanie Stubbs, Assoc. AIA, PMP, to present “To Restore or Not to Restore—Where Do You Start? Here!” to an audience of 200 architects on June 21 at A’18, the American Institute of Architects Conference on Architecture in New York City. The quartet, representing the team on a multidisciplinary project funded by VA’s Office of Construction and Facilities Management and managed by NIBS, shared the story of development of a Microsoft Excel-based reuse assessment tool—and its supporting design prototypes and best practices for six use types—they developed last year to enable VA to make high-level decisions about how to use/reuse buildings from its portfolio of its historic properties. The team enumerated elements of the collaborative process that enabled them to create the tool as well as key components of its use. View the session description.